Excellent condition. 17.5" seat. Medium wide tree. 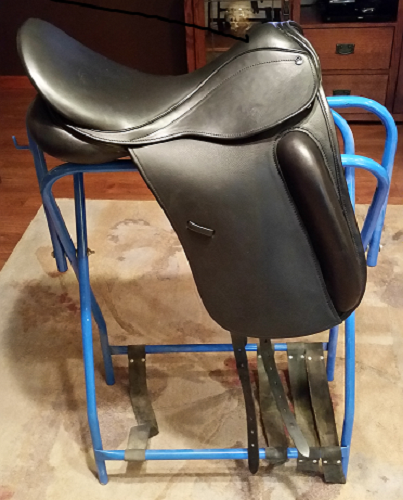 Saddle flaps have been extended by 1" to accommodate a long legged rider. Saddle is marked as an 18.5" on the flap due to extended flap although measures at 17.5".